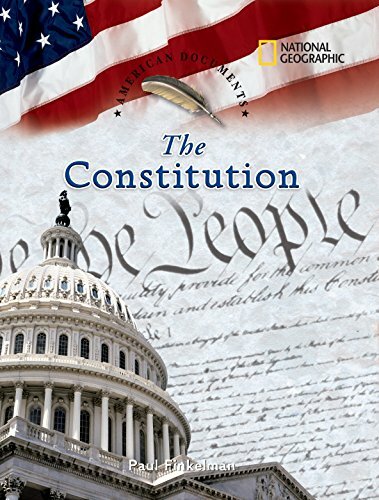 Constitutional law expert Paul Finkelman offers readers a carefully researched and highly readable look at the document that is the blueprint of American democracy. He begins by showing how ineffective the Confederation government was in dealing with the problems facing the newly independent republic: no uniform laws among states, no courts to settle arguments, no power to collect taxes. Then the reader sits in on the Constitutional Convention, where arguments about how to balance power between large and small states and how to count slaves as part of the population are among the key issues. They will learn about the Virginia Plan, the New Jersey Plan, the Connecticut Plan, and the Three-fifths Compromise, and meet some of the Federalists and Anti-Federalists who passionately argued the Constitution's pros and cons until it was finally ratified and became the law of the land. Includes the complete text of The Constitution. Paul Finkelman is the Chapman Distinguished Professor at the University of Tulsa College of Law. He has been a fellow at Harvard Law School and has written more than 20 books on constitutional law in American history. He lives in Tulsa, OK.